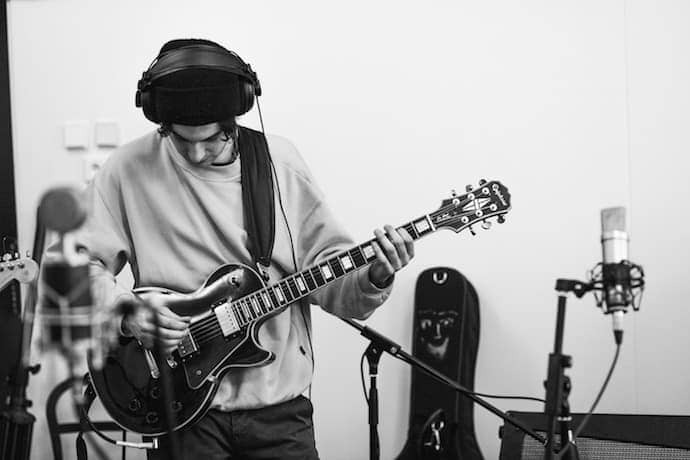 Plugging your guitar into an amp, turning the volume up, and belting out your favorite tune – it’s the definition of good times for most guitar players. But your neighbors and roommates might not find it so enjoyable, especially late at night. To keep on rocking, you will need a good pair of headphones. Because you’re creating raw sounds from scratch, regular MP3 player earbuds won’t cut it. Instead, you need professional-grade headphones that will reproduce the sound with utmost precision. With so many good models out there, it can be hard to make a choice. To narrow down your options, I’ve handpicked the eight best guitar headphones. If you’re looking for a great pair of headphones for guitar practice, here are my top picks. Are You a Headbanger at Heart? The MDR-7506 headphones from Sony sport a closed-back design and are thus very efficient at preventing sound leakage. At the same time, the lack of an open back means that the output sound isn’t particularly spacious, but then again, it might be too big of an ask at its price point. With an impedance of 63 Ohms, this is a studio-grade model that performs rather well when you pair it with a guitar amp and doesn’t cost too much. The ear cups boast large neodymium magnets and 40mm drivers to produce a crisp sound. This model has an excellent mid-range frequency response with a stellar bass response to match it. The only average part of this model is the treble range. While it’s better than with most other models in the same price range, it may come off a bit hissy when listening to treble-heavy songs. These headphones come with a 3m coiled cable that’s not detachable, as well as a 1/4” jack adapter. This is a foldable model, which means that you can collapse the cups inward to save storage space when you’re not using them. Also included in the packaging is a soft carry bag for easier transportation. 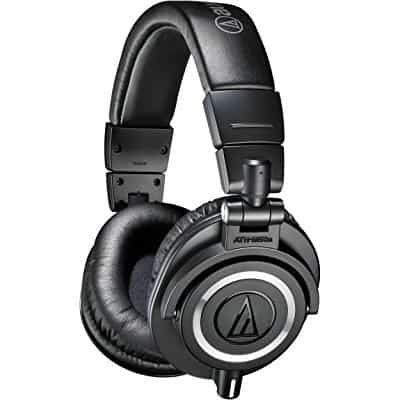 The Audio-Technica ATH-M50x is probably THE most popular pair of professional headphones in recent years. It’s no surprise considering how well these closed-back headphones perform. The mid-range is downright impressive, as is the extended bass. The treble is also really good, with no hissing or popping and little-to-no distortion. Because there’s no open back, there’s also no soundstage effect, which might make the bass seem a bit low for some people. On the flip side, the closed-back design prevents sound leakage, so other people in the same room as you can't hear what you're playing, even if they are right next to you. Although the impedance of just 38 Ohms might seem low, it doesn’t affect this model’s performance. It supports frequencies between 15 Hz to 28 kHz, which makes them good for use on a guitar amp. It's very compact because of its foldable design, which makes it very easy to carry around. As it's relatively light, the M50x is also ideal for extended periods of listening to music, as well as being a perfect companion for any guitar amp. The packaging comes with three detachable cables: a 3m and a 1.2m straight, as well as a 3m coiled cable. You will also get a 1/4” screw-on adapter and a sleek black carry bag. 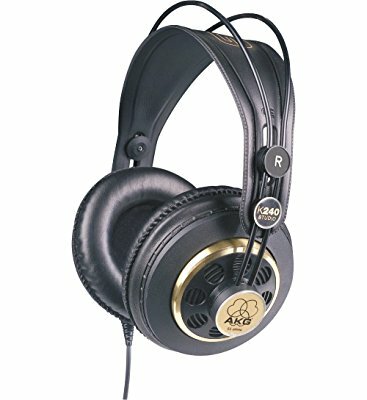 While the K240 model from AKG is rather inexpensive, its performance is up to par with many less affordable models out there. These classically designed semi-open headphones have supersized transducers built using the proprietary Varimotion diaphragm. This ensures steady frequency response and allows for a more spatial soundstage effect. When you put it to the test, you’ll find that the high-frequency treble range sounds surprisingly strong. The same applies to the mid-range, but not so much to the low-frequency bass range. The bass frequencies can get a bit overloaded, resulting in a sound that’s a tad too explosive. To avoid these audio spikes, you will need to keep the volume down. At 55 Ohms, the impedance is somewhere in the middle of the spectrum. But even though it’s not high enough to recommend this model for studio use, it is more than adequate for your guitar amp. In addition to the headphones, the packaging also includes two replaceable and detachable cables. One is a 3m straight cable and the other is a 5m coiled cable. You also get a set of ear cup cushions and a convenient 1/8”-to-1/4” adapter. Sennheiser is a brand of choice for many audio professionals and for a good reason. Their headphones tend to perform well and the 598SR model is no exception. With an impedance of 50 Ohms and an open-back design, it can make your guitar sound crisper and more powerful than some other models on the market. This model utilizes the patented EAR technology that directs signals straight to your ear, thus creating a surprisingly full sound. The aluminum coils ensure dynamic reproduction with low distortion. There’s still some distortion, but only when listening to bass-heavy tunes at the highest volume. The frequency response is uniformly good across all three dynamic ranges. Mid-range frequencies stand out the most, but treble is just as good, and the bass is solid, though it might not be punchy enough for some. And because this is an open-back model, it also has a very good soundstage effect. It comes with two detachable cables, one with a 1/4” and another with a 1/8” jack, as well as a 1/4” adapter. The DT-880 Pro from Beyerdynamic is on the higher end of the spectrum in terms of price. As such, it might not be your first choice if you’re on a budget. But if you’re looking for multi-purpose headphones you’ll use for hours on end, this semi-open model might be a good investment. These headphones have a very high impedance of 250 Ohms, which makes them great for studio use, too. The semi-open design allows for a very natural-sounding soundstage effect, resulting in a very immersive listening experience. On top of that, you get a very flat, faithful reproduction that highlights even the tiniest details in your playing. Like the other four models on this list, the DT-880 Pro excels at mid ranges, but the bass and treble are also very good. There’s some hissing when listening to treble-heavy tracks, but it shouldn’t be a problem if you’re using it with your guitar amp. This model comes with non-detachable 3m coiled cable and a 1/4” audio jack adapter. You also get a sturdy bag with a handle for easier transportation. The Samson SR850 headphones come in three styles, and for the purpose of this article I’ll focus on the Studio Reference model as it seems to offer the best value for the money. While the construction is a bit lightweight, for this modest price range the SR850 shows a promising level of durability. You can also opt for the 'studio-edition' SR850 for an upgrade in build quality. The stock cable is non-detachable. But the stock version shouldn’t affect the performance at all. The gold plated adapter is a standard 1/8” and it comes with a 1/4” adapter. The headphones use 50mm drivers which give them a nice dynamic range. However, the open back design will limit the performance of the drivers in various settings. 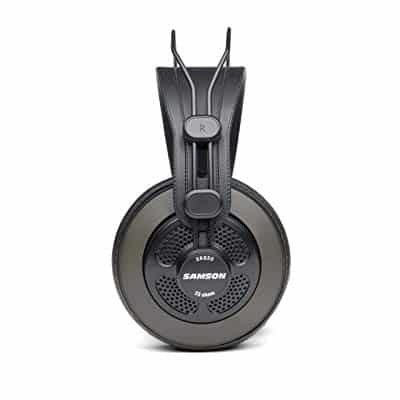 For the most part, these Samson headphones deliver on their promise of creating a very neutral sound. The rated frequency range of 10Hz to 30kHz is pretty standard. With a 32 Ohm impedance, the Samson SR850 might be the best option if you’re looking for entry-level headphones. While the design doesn’t give them the best isolation on the market, you just can’t argue with a neutral tone that lets you pick out separate instruments. Another missing feature that may or may not rub some of you the wrong way is the fixed ear pads. Short of taking some pliers to the stock padding, there’s no easy way to change them out. In the end, it will be a matter of personal preference here, as plenty of musicians find the SR850 to be quite comfortable. 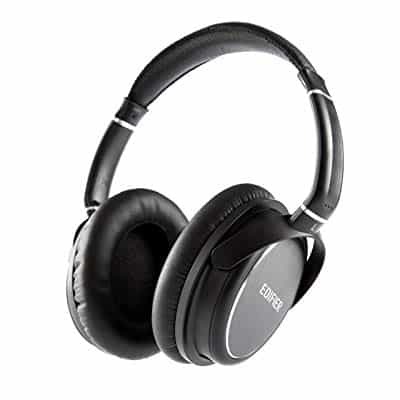 With its large over-ear design and comfortable pads, the CB-1 is very promising, at least as far as comfort goes. They’re mostly advertised as studio monitors, which has some validity due to how chunky they look. The headphones also come with two detachable cables. You have your choice of straight or coiled. You may also use a third-party cable if you want to extend the length. Not all headphones allow this luxury. However, for a pair of trained eyes they can be easily mistaken for a gaming headset. Another minor odd fact about the CB-1 is that there’s no discernable logo anywhere on them that I could find. That being said, I was willing to put that aside and let the sound quality do most of the talking. For a no-logo pair of headphones, they offer very nice stereo imaging. The sound is not as neutral as advertised, I’ll be honest, as the midrange comes with some unnecessary warmth. The bass sounds a bit clumsy too but it really depends how far you’re willing to push them. For a low-cost home studio recording setup, the CB-1 might just be a good alternative. Whatever it’s lacking in sound quality you may be able to adjust for from the mixer. These headphones are pretty much what you would expect if you were to eliminate the branded premium. The sound scale is impressive and the no-name branding keeps the price low. The Edifier H850 headphones don’t really stand out in terms of design. They do however have a very solid build. The headband has metal reinforcement and you’ll also notice metal caps over the housing. The plastic housing is not of the highest quality but it is thicker than what you’ll find in other models in this price range. The cups swivel and the ear pads are replaceable. which means you can customize them to your preferred level of comfort. You can also replace the cable if you want, but it’s worth noting that the standard cable has a solid locking mechanism. Faster tracks might come out a bit congested but the overall instrument separation is surprisingly okay. This, of course, won’t affect your playtime if you’re just using them for two guitar tracks and a drum-kit. The highs are where the H850 headphones fall off a bit. This is due to the restricted ear cup design which doesn’t provide enough air for proper extension. However, the decent sound directionality should help balance this out. The bass has enough punch until you go lower than 50Hz. The midrange is sublime and offers impressive clarity. This is what helps offset the minor refinement issues with the higher frequency range. The mids will have a difference in tonality depending on what guitar you’re using. 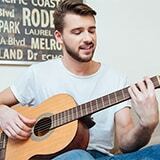 Electric guitars come out fine, but you might experience a cold tonality when using an acoustic setup. At the end of the day, the Edifier H850 headphones won’t win you any beauty contests. 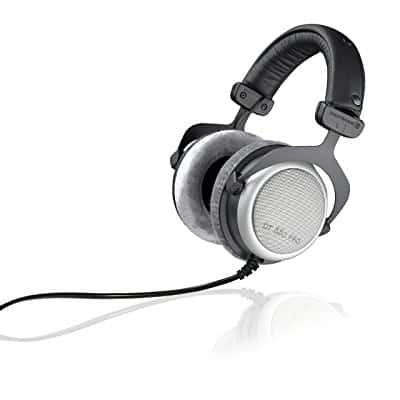 However, they’re very light and have a good balanced sound for the modest price tag. 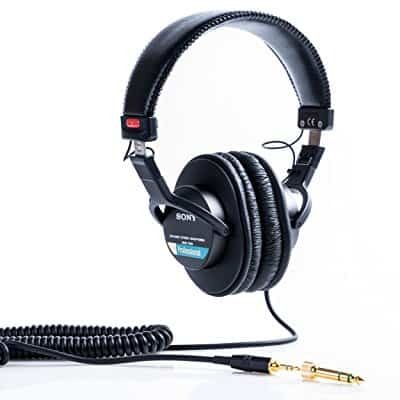 It’s also worth pointing out that most competitor headphones in this price range tend to have a boosted bass emphasis or even thin-sounding high frequencies. But, the H850 does lack in versatility compared to other models on this list. While some headphones may very well double as monitoring or mastering headphones, the H850 doesn’t come with the necessary finesse to make that happen. As I have explained above, you shouldn’t use regular headphones with your guitar amp. For the most part, the standard earphones you use to listen to music on your portable player have a very limited dynamic range. They are thus not equipped to reproduce the nuances in your playing. When looking for a good pair of headphones for a guitar amp, you want a model that can give a highly accurate reproduction. To achieve that, it needs a wide-range frequency response. All five of my picks exceed the usual 20 kHz threshold, so each of them could be a good choice. Impedance is another important thing to consider when buying headphones for practicing your electric guitar. It’s an electrical unit that represents the relationship between resistance and reactance. To put it in simpler terms, low impedance headphones (below 25-30 Ohms) only work well with devices that have low amplification. But because you’ll be using them with your guitar amp, you need headphones with high impedance. This helps prevent blowouts and ensures that there is no overloading when playing at higher frequencies. 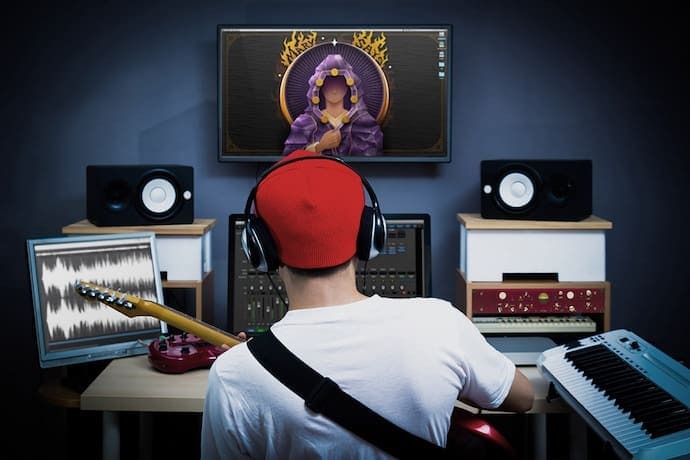 Moreover, high-impedance headphones also reproduce sound much more accurately, which is why they’re an essential part of studio and mixing equipment. A lot of headphones may flat out burn out your ears after one or two hours. If you’re serious about your practicing and recording sessions, you’ll want a design that’s easy on the ears. For this, there are a couple of things to look for. Proper padding would be the first. The next is the head support aka the headband. It has to be adjustable and it also needs a soft padding. An additional feature you may want to look out for is replaceable ear pads. Not all stock headphones are super comfy, but some of them will let you switch out the stock padding for a new one without needing special tools. Considering that there are lots of very soft and comfortable replacement ear pads available online, this is one way to convert a cheap pair of headphones into a mid-range to premium level of comfort. Generally speaking, expensive guitar amp headphones do have a better track record. However, a lot of that extra money goes towards accessories, refined designs, etc. A higher price tag doesn’t always mandate better sound clarity. That’s why focusing on performance and specs is sometimes better than judging the headphones by the brand. That’s not to say that certain advanced drivers aren’t better than others. The point is, you need to keep an open mind, and also, you need to know what your top priority is. Do you just want a wide dynamic range or are you satisfied with average sound quality in a pair of eye-catching headphones? 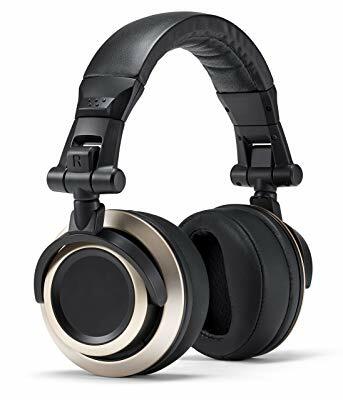 If the former is your main priority, then you don't always necessarily need to shell out the highest money for the most expensive headphones for your satisfaction. Headphones may come with a number of accessories or interchangeable parts. The obvious ones that come to mind are detachable cables and replaceable ear pads. Both may be really important depending on the design of the headphones. Typically, you’ll have to pay a little bit more for a detachable cable. But it may be worth it if you think you might need to swap the stock one out for a longer cable or one with better shielding. Cushions are also important as being able to replace them may extend the lifespan of the headphones. Before you buy any pair of headphones, you might also want to consider your listening conditions. Depending on the design of the headphones, open ear, open back, closed back, etc. - you may need a specific style in order to maximize your comfort and sound quality. For example, open back headphones are ok if you’re listening in a quiet space. But, closed ear headphones will give you more isolation. Not to mention that they’re pretty efficient at keeping the noise confined so you won’t bother anyone else either. Okay, this may seem a little weird but bear with me here. A lot of serious shredders headbang even when practicing at home. For some it’s just a reflex, and for others it is a way of rehearsing their stage presence. Either way, when you’re doing this with headphones on, there are a few things to consider. Even if you get the most secure fit, chances are your headphones will eventually fly off your head if you’re getting too much into a riff. If you know you’re going to act out on every note you hit, you might want to consider investing in a pair of robust headphones. A lot of the low to mid-range headphones, although they sound good, tend to come with thin plastic and minimum metal reinforcement. Even if you won’t be crying over a pair of cheap headphones when they break, it doesn’t mean you should get a new one every week, right? All five of my picks come from reputable manufacturers with decades-long experience in the field. They all have high impedance, ranging from 32 Ohms all the way up to 250 Ohms. Each of them has a wide frequency range of at least 20 Hz to 35 kHz. So if you want a great pair of headphones to use with your guitar amp, any of these five models could be right for you. There is a model for every budget, so choose the one you like the most and get ready to jam all night long without worrying about waking up your neighbors. I have been looking over headphones for a while. This article helped a lot. I now know which cans to get. Thank you. Can I run my guitar through a boss gt10 multi effects pedal and a boss rc50 loop station with the headphones connected to either without a amplifier? I don’t think so, but I’m not completely sure either. For the GT-10, I run a GT-8 that I have now and again with just headphones plugged in to the Phones socket at the back and it works fine. Don’t know about the loop but the 10 should be fine. Thanks for your input, Gerry. Yep, pretty sure you can. I had a gt10ux with a headphone out jack, so just use that instead of the line out jack.